Security Cameras - Altoona, PA | Smithmyer’s Electronics, Inc.
Smithmyer’s Electronics, Inc. are the area experts on security, and will assist you in getting the best security camera systems. Our professionals will make sure you get the cameras and the security system that fits your property’s needs. A good security camera system is ideal for any businesses and commercial properties, but can also be beneficial to homeowners as well. Security cameras and surveillance systems will provide a visual image of what happens at your property 24/7. 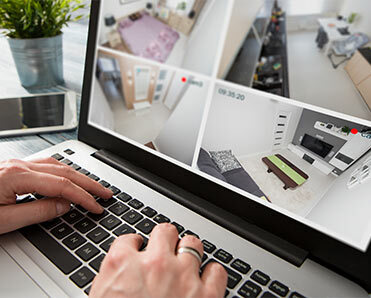 With your investment in a security camera system, you can have peace of mind knowing your business or home is protected even when you are not there. Security camera systems can be installed on the inside and outside of any property, which can allow you to see activity that goes on in every corner of your property. When security cameras are visible, it can discourage potential burglars and decrease the possibility of crime taking place on your property. Because security cameras allow property owners to see what goes on around their premises, it is possible to catch criminals before they have a chance to act as well. Our team can help you decide whether it is better to have your security camera system be visible or more hidden. All of our cameras feature a great field of view and resolution to allow you to see everything as well as possible. For outdoor security camera systems you can rely on your equipment in all weather conditions even when they are extreme. Whether it is an indoor or an outdoor camera, Smithmyer’s Electronics, Inc. can help you decide whether it is better to have a live action camera or one that records footage for later viewing. With the advancement in technology many cameras offer the ability to view what is happening online. Smithmyer’s Electronics, Inc. is proud to offer many types of indoor and outdoor security cameras, and surveillance systems. 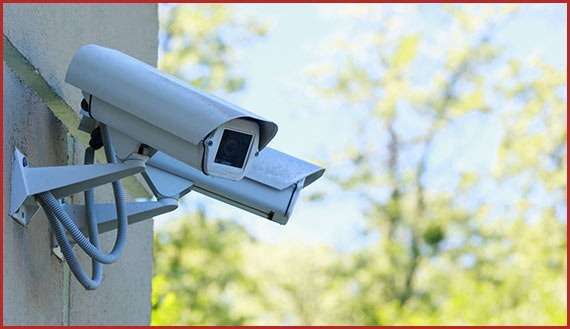 We work with only the latest security camera systems for your home or business. With over 40 years of experience, we have seen the advancement in security camera system technology and are up to date on the current equipment available in the industry. With Smithmyer’s Electronics, Inc.’s experience and knowledge you can trust you will get the security camera system you want. Protect yourself with the best from smithmyer's electronics, inc.
With Smithmyer’s Electronics, Inc’s security cameras and surveillance systems your business or home will be better protected against break-ins, thefts, property crime, vandalism or any unwanted activity on your property. There’s many types of security cameras these days with many options which can make it difficult to find the right one for your property. The professionals at Smithmyer’s Electronics will sit with you to figure out which equipment suits your home or business and also fits within your budget.